One of the items the police check when stopping motorists is insurance. Therefore, before getting behind the wheel, motorists are required by law to have valid insurance. Lack of insurance or falsifications of documents is considered to be misdemeanor offenses that may result in one year of jail term or fines according to the type of offense. Lacking proof of insurance results in a fine of $143 while driving an uninsured car attracts a fine of up to $500 together with a $500 responsibility fee that must be paid in two years. Hence, lacking insurance is a rather costly affair. A leading Michigan car accident attorney at Elia & Ponto can help you or a loved one was injured in an auto accident. Being a common practice in traffic law enforcement, police officers check for insurance many times each day. To ease the process, Michigan managed to give police the upper hand by providing a tool for easier insurance check without pulling over motorists. Previously, police officers used to ask for proof of insurance after stopping motorists. Such a technique raised the issue of the potential for fake cards or hoax insurance companies. As from September of 2015, the state police together with other law enforcement agencies in Michigan have been using license plates to check insurance on the go. The police officers directly run a car’s license plate through their onboard computer to verify insurance records before approaching the motorists. We understand that you are going through a tough time, an experienced Michigan car accident lawyer at our firm is always standing by to help you. To support the system, insurance companies are also mandated to send updated information on the 1st and 15th of every month to the office of the Secretary of State. The information details the names of the insured and the duration of the coverage. Once updated, it is available for all agencies through the Law Enforcement Information Network. When a license plate is run through the system, the police officer will be able to determine whether or not a driver is insured instantly. A highly trained Michigan car accident lawyer at our firm is standing by to help you now. The system offers the advantages of being more accurate and reducing the number of stops made by police officers. 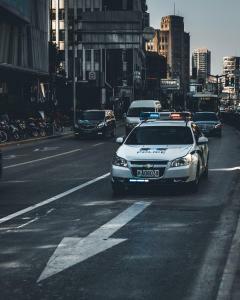 Police officers have an opportunity to assess the validity of insurance covers by looking up the license plates rather than asking for physical proof. In this way, police officers are better placed to crack down on the use of fake insurance cards. The success of the system in coping fake cards is seen in how the number of citations offered to uninsured drivers rose from 8,664 in September 2013 to 10,009 in 2014. A car accident lawyer in Michigan at Elia & Ponto can be a very valuable resource to anyone injured in a motor vehicle accident. One of the limitations of the system is that it does not display results for motorcycles or commercial vehicles. Officers will be required to confirm the availability of insurance in such cases manually. Moreover, since information is only updated every two weeks, the information on the system is not real time. The officer has to verify an indication of lack of insurance with the physical proof provided by the driver before a ticket is given. Nevertheless, it has still helped ease the regulation of insurance coverage. 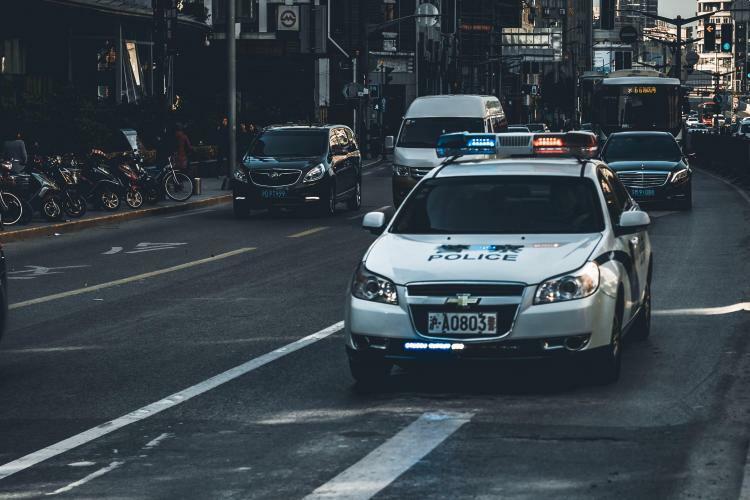 Understanding the role of the police officer in a Michigan auto accident is critical. While the system only targets to give officers more flexibility and faster access to information, drivers are still required to carry proof of insurance cover within their cars. It also does not mean that drivers will constantly be targeted for insurance violations. Lack of insurance is regarded as a secondary violation and is not a sufficient cause to pull over a driver. Moreover, pulling a driver over for lacking insurance will render any other identified ongoing criminal activity to be invalid since the initial cause of pulling over was invalid. The Elia & Ponto law firm is one of the leading Michigan car accident law firms based in metro Detroit. We have a dedicated team of paralegals and experienced Detroit car accident attorneys standing by to help you right away.